Our proprietary research and development in drilling technology, combined with our state-of-the-art automatic indexing drilling equipment, result in a very low cost per drilled hole. 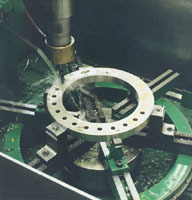 Standard bolt-hole patterns can be drilled and shipped in the same turnaround time as machined ring or disc blanks. 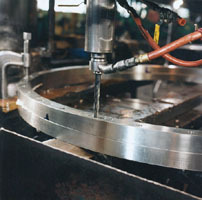 We also can provide thread tapping and additional counterboring when required.